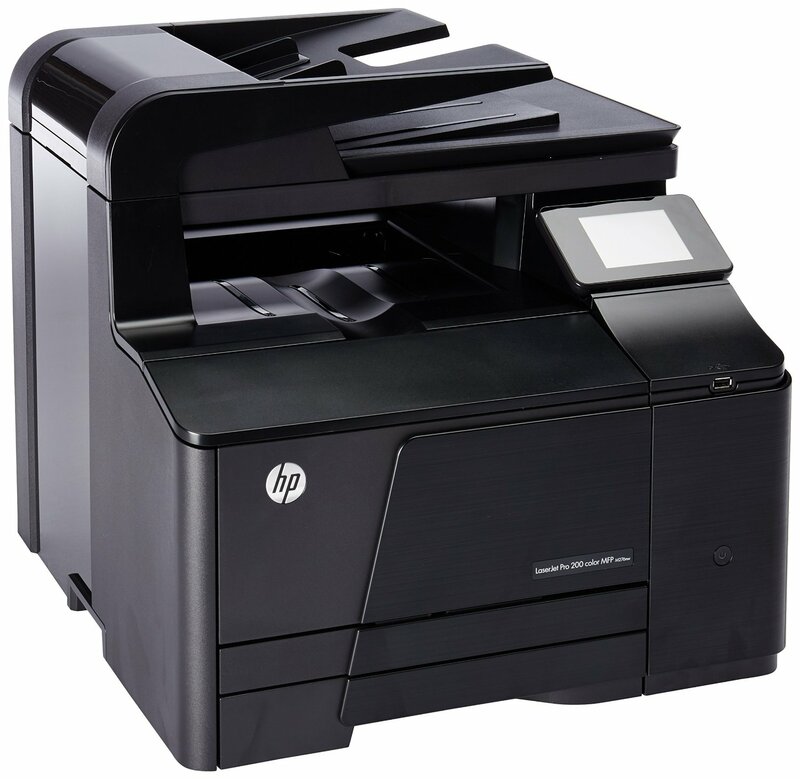 The HP LaserJet Pro 200 is pretty much the market competitor to the Brother MFC-9130CW. I have experience with both and I hope this comparison review will be helpful. For those who just want the bottom line: both are capable small workgroup printers. You get faster printing and more capability with the Brother MFC-9130CW and based just toner price-per-page using brand-name toner the Brother is a lot less expensive over the long run. The HP software package with the HP is typically bloated but less so than in older models. The Brother software package smaller and lighter. One I find particularly annoying is the incessant nag window to validate your toner cartridges. I hate checking in with some central site whenever I change toner or inkjet ink so I don't want to do it. It did not accept my "decline" choice and kept coming back. Both printers have similar specifications: single sided printing and scanning, wireless connectivity, Apple airprint support (works great), proprietary mobile connections, Automatic document feeder (35 pages), and print from/scan to USB. A 30,000 page duty cycle is the same for both. Both have nice color touch screens. Both are capable personal or small office multifunction units. 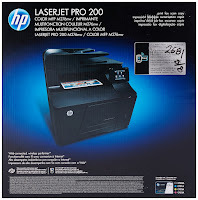 An important difference between is the HP LaserJet Pro 200 has a LAN port for hardwired connectivity. The Brother MFC-9130CW does not, but the generally more capable Brother MFC-9330CDW does along with duplex printing. But in specs Brother wins in most ways: 19ppm compared to 14ppm for the HP. Paper capacity of the brother is 250 pages compared to 150 for the HP, and print resolution is higher for the Brother MFC-9130CW. The big difference in Total Cost of Ownership (TCO) is the cost of toner. This both with the included toner cartridges and replacements. The HP comes with "demi-toner cartridges" with a capacity of 700 pages. The Brother comes with "starter" toner cartridges with a capacity of 1000 pages - 42% more included with the Brother. 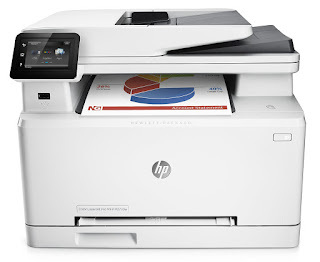 The HP LaserJet Pro 200 color MFP M276nw comes with a pretty typical HP software suite. It installs a large amount of software which isn't as large as I have seen in the past. The install was relatively quick for HP MFC's. The Brother software suite is a lot lighter and a very easy install too. Both provide printer monitoring and a good level of control. Both drivers updated the firewall for accessing the printer. Another area of differentiation is in scanning. The ADF works well and automatic scanning of documents is reasonably fast and the quality is fine. HP used to set a standard for fine control in scanning. That is sorely lacking from the included software which seems to have only brightness, contrast and cropping. No gamma or other controls which HP used to provide. HP has really "dumbed-down" the scanning interface to the point where most control is lost. This isn't an issue of most documents, but shows most in scanning photos (I mean real photographic prints from the days of film). Some photos look fine (generally glossy photos) but matte finish photos seem to come out with high contrast and loss of dark detail with default scanning settings. Trying to adjust the contrast, brightness and cropping does not result in improvements. The same photo on a Canon Lide scans worlds better!! An iPhone photo of the photo is worlds better!! I can only hope HP LaserJet Pro 200 color will read this and fix this issue. HP Color LaserJet Pro MFP M277dw. You'd never expect this much performance from such small package. Speed through tasks, using a wide range of productivity and workflow features-while consistently producing professional-quality prints. Seamlessly manage the flow of information to and from your devices, using innovative HP Jet Advantage business workflow and printing solutions. Increase MFP MFP M277dw and data security, and stay connected to your work with wired and wireless capabilities. This HP MFP M277dw Printer is compatible with Windows 10 (printer driver update may be required) . Kindly refer the user manual given below for troubleshooting steps.